The cool fall weather is here and we couldn’t be more excited for the Pumpkin Spice-flavored everything! We also have a ton of cool things to see and do, so here is out top #DEN10 picks for your weekly do-not-miss adventuring around town. Denton is known for our creative talent, innovative workforce, and engaged citizens as well as passionate, dedicated, and scrappy businesses without fear of experimentation. Bootstrap Denton is the annual event that showcases these organizations, startups, and individuals who are improving our community, launching great companies, and putting Denton on the map as a tech hub for North Texas. Get together to network, meet amazing people, and potentially collaborate on new projects. It sounds like a fancy Denton drink waiting to happen, but you can savor the twangy tunes of Pearl Earl along with Foolish2 and local legend Paul Slavens in this lively line-up. 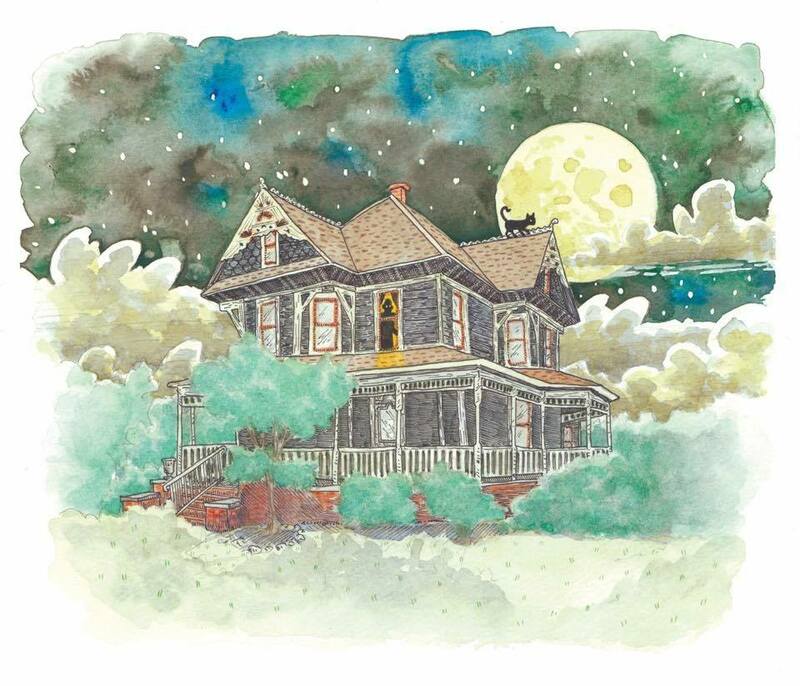 Bayless-Selby House Museum woodcut, by ‘Quickdraw’ Joe Duncan Illustration. Friday AND Saturday night, do not miss this very special Halloween tradition! On the night of Saturday November 22 of 1919, an argument took place outside the Bayless residence, an argument that ended in death... Does the ghost of Mr. Bayless still roam the halls? Free tours will be given on both nights, leading groups of 20 every half hour to hear the tales. It’s the amazing little house show that could, and it keeps on trucking with locally-crafted artisanal tunes! 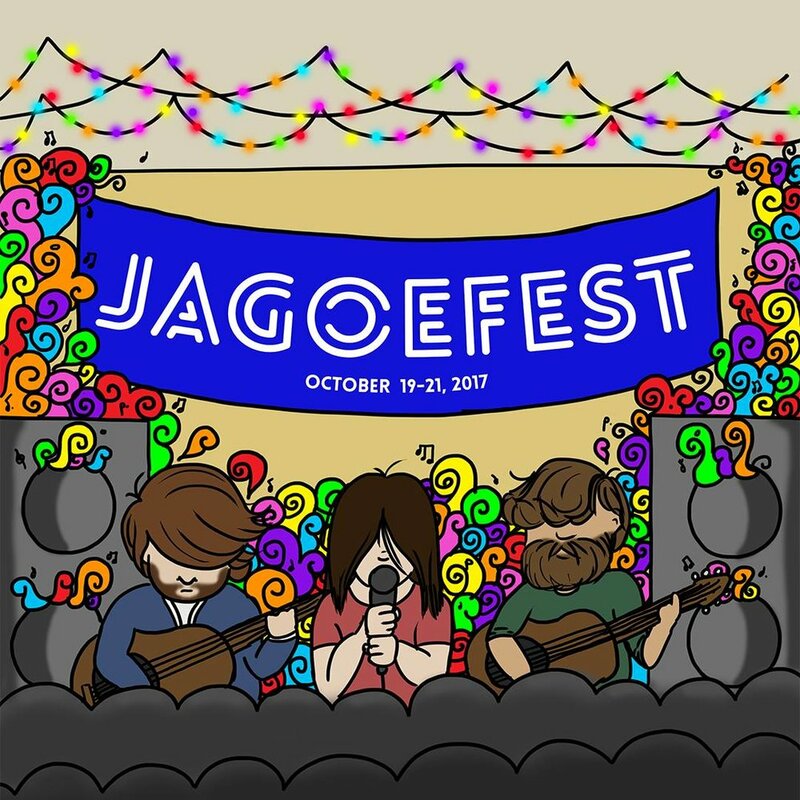 JagoeFest returns to Denton all weekend with two stages and three full days of music, crowing it is “one of the best weekends you'll have in Denton all year.” Challenge accepted. The Bar Band pays tribute to the man, the myth, the American music legend: Tom Petty. Shut up and take our money!! It’s the 8th anniversary of this one-day shopping spree featuring handmade arts & crafts, where you can peruse over 50 booths of unique items and meet their makers. Get a jump on shopping local for Christmas or take one of their mini-workshops, get tix here! Back in the day it was the 1969 Denton County Woodstock, then it was revived at Dan’s as Geezerpalooza, but for the last few years it’s an all-day FREE celebration of groovy music from the rockin’ 60s and 70s. Bring a lawn chair and your dancing shoes after you hit the Denton Community Market. The audacious brewmeisters will be having live music, a special release of multiple barrel-aged beers, and their first annual "Audacious Pageant" from 2-4pm but festivities go all day long! Who you gonna call? Help Friends With Benefits kick off their Keep Denton Warm campaign with a movie on the Courthouse Lawn!! There is another great evening of Twilight Tunes on the Denton Courthouse lawn from 4:30-6:00 pm, true enough, but the real brawl over the best Bloody Mary in town is going down for SundayFunday. Join the nerdiest group in town for talks on vampires, horror film, and cosplay antics as you drink-and-think along with a costume contest! As always, holla in the comments if you have a fave to add, but be sure to tag your pretty Instagram pics with #WDDI so maybe you make the cut on Monday’s glorious What We Did photo roundup.